"I'm not violent, I'm just good at it." 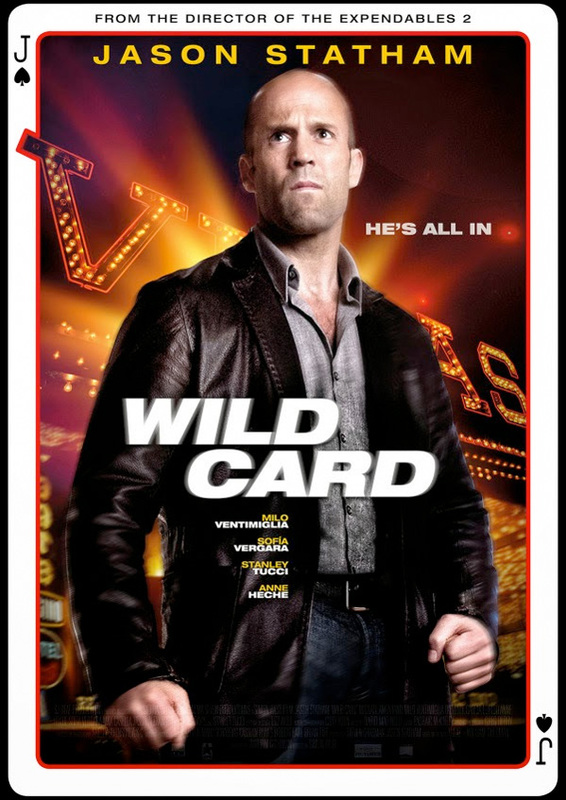 Formerly known as Heat, the latest film from The Mechanic and Expendables 2 director Simon West is now going by the title Wild Card. The film is actually a remake of the 1987 film starring Burt Reynolds, and this time it's Jason Statham in the lead role as Nick Wild (yes, the title is a stupid pun). This time, Statham is an ex-marine and a gambling addict, and of course he just wants to be left alone to start a new life in Las Vegas. But as is the case with all these movies, trouble finds him. Be prepared to laugh at how bad this looks in this French trailer, with some terrible dialogue. Watch! He was gone for awhile, but now he is back. 2015 needs more Statham. While Ethan concerns himself with dialogue I'll be looking forward to seeing another Statham movie. It never gets old watching the man break bones! Simon West as the director is also a good thing.